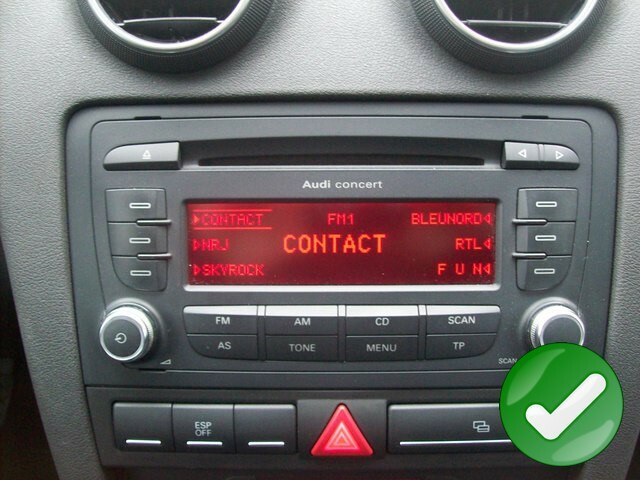 Car radio Audi A3 - S3 - RS3 2003/2012 has an entertainment center for multimedia communication and navigation .It has a CD / DVD with all that he is able to play DVDs, DIVX, MP3 and photos. Its touch screen 7" allows you to take full advantage of its features beforehand with an intuitive and easy to use interface. The BLUETOOTH lets you communicate hands-free with your mobile phone safely. Its GPS module running on a Windows, allows you to navigate with ease and make you aware of the presence of any radar. The tuner allows you to watch all the new TV channels. The term Double -DIN, which means it is twice the size of a normal car radio slot. There is also a USB input and a video input and 1 video output, allowing you to connect a reverse camera, game console or other video sources. It also has two audio outputs for amp. + CANBUS. It allows you to connect a 3G/4G/WIFI key of your telephone company to allow you to surf theinternet using the browser "Internet Explorer". This feature is already integrated into the GPS unit. Internal memory 32GB. Then you can read without using the cd . Replaces a conventional CD changer (No need external charger ). Do a quick save (about 5 minutes for a CD) or back while listening to the CD (about 15 minutes). Micro SD . Accepts SD card up to 32GB ID3 ( MP3: Name the artist, album title, song title ). 48 TV channels for free France and all the countries of Europe, Multi language / Multi Region comprises France makes a reception while driving 120KM / H.
AM / FM Rds 30 submissions, research stations automatically or manually, TA / PTY ect function... Caller ID station ( Rds ). Allows connection to any Bluetooth mobile phone equipped with Bluetooth. Microphone in front for hands-free calling. Conversation through the speakers of the car. Caller ID, redial, hang up and stall, depending on mobile phone directory. Ipod control. 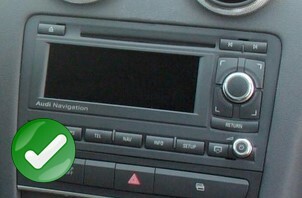 Connect your iPod and drive it from the screen of the receiver. Charges your iPod at the same time. You can connect a rearview camera and a game console. ( German French, English, 17 languages ... ) intuitive graphical interface. Order directly via the touch screen. Infrared remote control. Original remote driving with auto -learn commands. Manual, remote control, GPS antenna , DVB-T antenna, AV cable, USB cable, Ipod cable, ISO cable + CANBUS, 2GB SD (GPS EUROPE Route66 , Igo8 or TomTom). All products are tested and we can assure you it works flawlessly. This product is revolutionary and it will allow you to have a very high-end equipment in your car, at the best price.